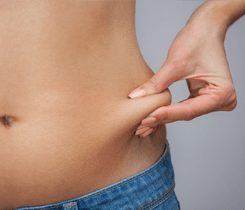 Tired of stubborn belly fat? 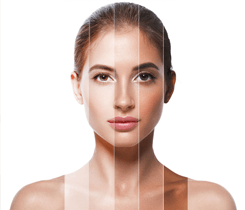 Dermatology Associates of Georgia offers a full range of medical, surgical, and cosmetic dermatology services in the Atlanta metropolitan area. 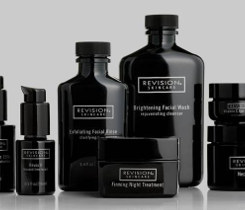 Our mission is to provide superior medical skin care in a professional, compassionate, and patient friendly environment. All physicians and physician assistants are board certified and specialize in the latest medical and cosmetic procedures. At Dermatology Associates of Georgia our goal is to provide you with the best in Georgia dermatology. We have five offices conveniently located around the Atlanta metropolitan area making it easy to find a location near you. We have offices in Decatur, Buckhead, Johns Creek, Monroe and in the Emory Decatur Hospital. 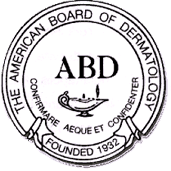 Our board certified physicians aim to bring you the best in Atlanta Dermatology. Our dermatologists specialize in medical procedures such as mole checks, skin cancer screenings, and wart removal as well as surgical procedures like skin cancer removal, Mohs micrographic surgery, and cyst and mole removal. 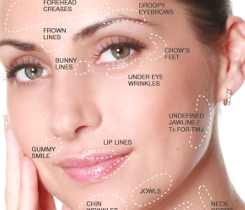 We also offer a wide range of cosmetic procedures some of which are laser treatments, fillers, and face and body rejuvenation. We would also like to thank you for your support of the Miles for Melanoma Walk! Your support allowed the walk to achieve its $50,000 Goal. SPECIAL NOTICE for Patients of J. Thomas Apgar, M.D. Since 2001, J. Thomas Apgar, M.D. has served the patients at Dermatology Associates of Georgia with allergy patch testing and evaluation of rashes. 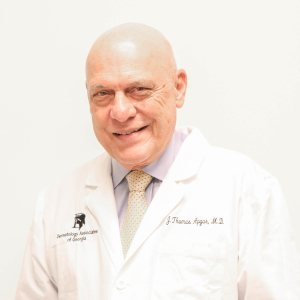 On behalf of all the physicians, patients and staff, we wish Dr. Apgar all the best in his retirement. His long standing dedication and quality care is most appreciated by all. Established patients of Dr. J. Thomas Apgar may elect to stay with Dermatology Associates of Georgia for continued care with Dr. Adrianna S. Rodriguez at Johns Creek, or request to have their records be transferred to another provider. For assistance with Allergy Patch Test Appointments, Medical Records or Referrals, please call our Patch Testing Nurse Coordinator at 770.622.4412, ext. 3224. I was in and out less than a hour. The staff is amazing definitely recommend this place to EVERYONE. Tiffany took time of her busy day to help me get everything figured out. I would 100% recommend this place to someone because of Tiffany’s assistance! Friendly and helpful staff. Dr. Rhea Douglas answered all of my questions and addressed any of my concerns. Thank you! I love this dermatology office. I haven’t met a doctor there I don’t like! I’ve been going there for 2 years, and I visit often to care for my psoriasis, and sensitive skin. Very clean and friendly staff. I waited only 10 minutes. The doctor is very knowledgeable. I had my first visit today and I will have to say that this was the best Dr. visit ever . Everyone was very friendly and professional . It could not have gone any better .